279th day of the year. There were then 86 days left in 2018. 15th day of Fall. There were 76 days left till Winter. 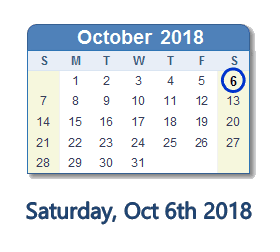 What happened on October 6th 2018? Senator Murkowski Voted Against Kavanaugh. Read Her Remarks Declaring Why.